The High Court today conducted the rebuttal and preliminary hearings for three embezzlement cases related to the DeSuung Training Programme today. There are a total of some 15 cases allegedly involving 40 people. Fifteen army officers, nine non-commissioned officers and 16 shopkeepers were found guilty by the military court in December last year. The military court convicted them with embezzlement, aiding and abetting and solicitation. About Nu 11 m is suspected to have been embezzled. The military court passed the judgement in December. Unhappy with the military court’s decision, the accused appealed to the High Court. Several hearings have been going on since then. The prosecutors from the Royal Bhutan Army said they stand by the judgement passed by the military court. 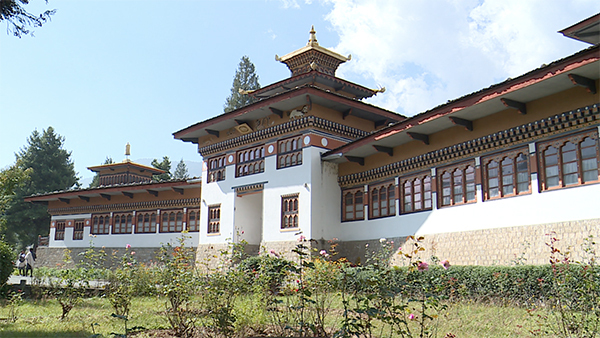 They added the decision was made following due process as per the Civil and Criminal Procedure Code of Bhutan. During the hearing today, the army prosecutors said the accused have failed to follow due process while handling the DeSuung fund. One of the officers who stand accused said he made adjustments as per the order from superiors while procuring some prohibited items. Some said they were sentenced without any proof beyond reasonable doubt before the court. Another accused said he was not allowed a legal representative, while a non- commissioned officer submitted that he was directly sentenced without any hearings and cross examination in the military court. The army prosecutors requested the court to accept the military court’s judgement. The High Court will conduct the next hearing on Monday.